It’s that time of year again, the spring equinox is almost upon us. The moment the sun enters the sign of Aries. Spring and the return of warmth of the sun after a long winter (for us in the northern hemisphere). Astrologers around the world look to the Aries ingress using mundane astrology to consider the year ahead. There are several ground rules of how one goes about understanding the Aries ingress chart, one of them is using the traditional rulers for signs. I’m an astrologer more focused on evolutionary astrology for views into the soul and experiences of life for one’s development and understanding the events of life. I would not say I am a trained mundane astrologer but want to give it a try after attending a lecture on the subject last year with a favorite teacher and astrologer, Wade Caves. I think it great to explore the subject with others who are enthusiasts of astrology and planetary cycles that are part of life, including that of our country. Let’s start with the Aries ingress chart for the USA this year location set for the White House in Washington, DC. The ingress happens at 5:58:20 pm EDT on March 20, 2019. The software I used for creating the chart (Astro Gold) ticks it up slightly so my chart shows 5:59 pm EDT. If looking for a precise rising to the minute, it is 14 degrees and 25 minutes. Let’s start with the rising sign in Virgo at 14 degrees 33’. Mercury is the ruler of Virgo and in this chart is angular located in the 7th house. In the sign of Pisces, Mercury is in fall (the worst sign for Mercury to act upon logic and reasoning) and conjunct Neptune in Pisces which would increase the confusion and matters related to understanding. There is a potential for misinformation and leaks that are highly damaging to the vitality of the people (Moon). The vitality of the people in this year (we’ll need to see the Libra ingress chart for how matters may change later in the year) and there’s cause for concern around information, social justice matters or legal processes that are important for the vitality and well-being of the people. This does not favor the people. Mercury is also square to Jupiter in Sagittarius in 4th house. This misinformation will be a challenge for the people related to land, borders, farming and even those who oppose the authorities. The moon in this chart is the handle of a bucket pattern. Showing the importance of the people in the equation between their vitality, the issues with the law, borders, legal system and misinformation and potential leaks of information that may not provide the whole story. 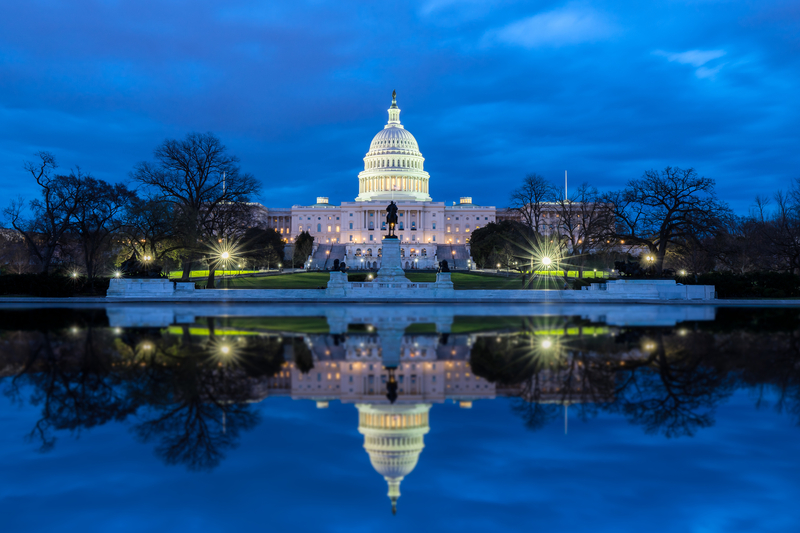 The people in this confusion may move powerfully related to the judicial branch of government (those in our government who are interpreting the laws and makes decisions –our judges) and act without having a clear understanding of the full extent of what they are trying to address related to their own well-being. Healthcare systems are part of a larger story. There may be new information released about pharmaceuticals and the relation to the people, but also vaccinations/immunizations too. Legal issues will be raised in these themes. 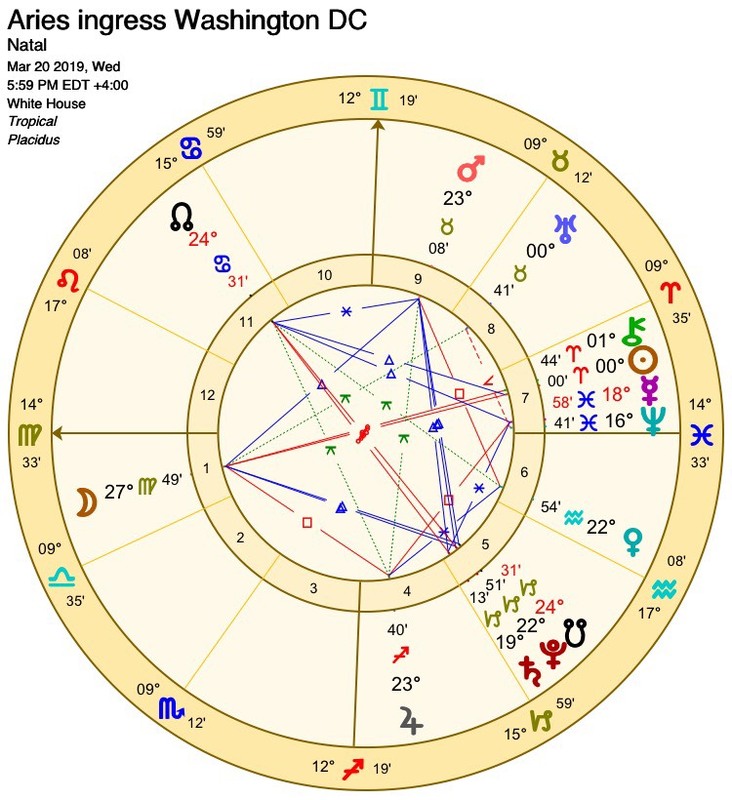 What’s interesting in the chart is the transiting north node of the moon is in the 11th house (house of good fortune in traditional astrology) and it is ruled by the moon. So, as I sit here and write this there seems to be a paradox to it and is a bit unclear right now (hello Mercury Rx in Pisces right now). We want to look at the house of money to understand the economic indications of the country in the coming year. The 2nd house in the Aries ingress chart is Libra, which the ruler Venus is in Aquarius in the 6th house. Venus is not in a strong house, but a rather weak house for her to have strength, but more importantly she is in a square to Mars in Taurus (her own sign). 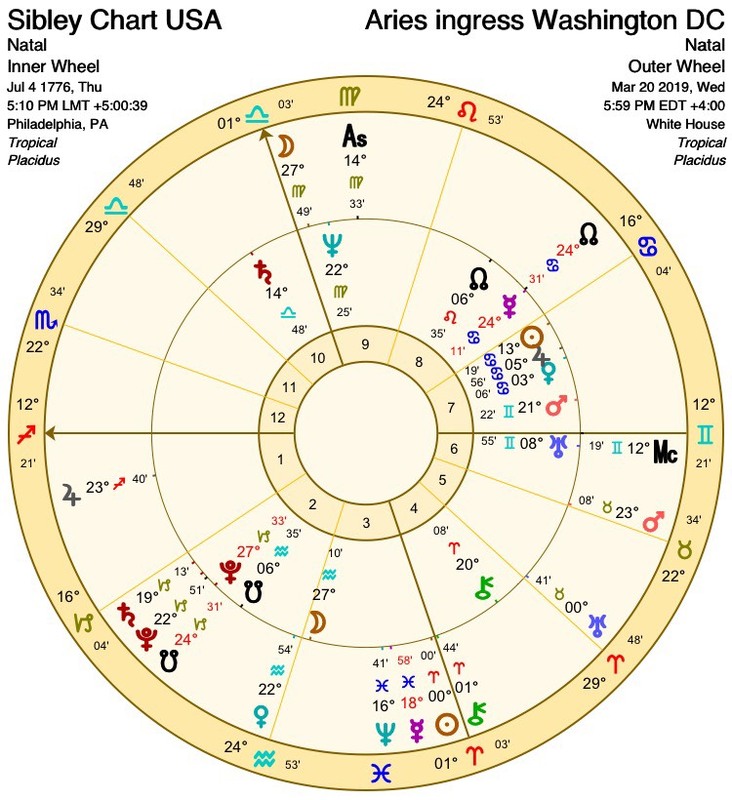 Mars is her guest, but since this is a day chart (sun above the horizon) I wonder about Mars being the problem over the year that is stubborn. Venus does get support from Jupiter in the 4th house by sextile so it may be what comes from working hard (Mars / Taurus can be endurance). International relationships (9th house themes) struggle with Mars located in the house, as there is conflict and tension (Jupiter inconjunct to Mars by sign and degree), and yet Saturn, Pluto and the transiting South Node in Capricorn offers something in power being used, maybe a bit of a gamble to make something happen with these international relationships. There is a power dynamic at play and it also is trine the people symbolized by the moon in Virgo. What is being created by the transforming power base? Saturn, Pluto and South Node of the moon in Capricorn sit in the 5th house (which is in trine to the first house) shows authority, perhaps overstepping authority to keep control on matters of children (or birthrates). One could predict news of birthrates, which from Saturn in Capricorn would be indicative of falling birth rates. Perhaps women’s health continues to be a main theme this year and results in fewer choosing to have children for whatever reason. Climate change is one reason many at the moment are deciding to not have children. Climate change and government policies are in the mix for themes again, as climate would be connected to our land, our farming and our sustenance we need to live on planet earth. These themes loom larger this year with Jupiter as the planet making the T-square to the moon and Mercury Rx with Neptune in Pisces all these planets angular which speaks to their prominence in our focus. More people will take to the streets around activism related to social issues and government tied to climate change. The USA is going through a significant transformation of our values, worth, and money as part of that cycle. When we are a few years beyond the conjunction we will have greater clarity of what that means to all of us. We have a couple more years before transiting Pluto reaches our natal USA Pluto in February 2022. Before we reach that moment we will have a new cycle starting when Jupiter and Saturn exact conjunction in the sign of Aquarius which I will write about in another article. In relation to Pluto cycle, we are in the balsamic end phase where old paradigms are going through significant, heavy-duty transformational times that will be something completely different when the new cycle begins. Since Pluto will retrograde over that degree in 2022, that will be the year of changes that we are yet to understand until the very end of that year. Before we add a future view of the Libra ingress, I want to review one more thing, the Midheaven (MC) of this chart is Gemini at 12 degrees 19 minutes. We know that Mercury also rules Gemini, so the authority of 10th house (executive branch also) is in the same situation with a debilitated Mercury retrograde in Pisces (angular) with Neptune. It shows the weakness of our executive branch related to open enemies (7th house). Sun in Aries rules the 12th house in this Aries ingress chart. The 12th house is the house for sorrow, losses, suffering, prison, institutions, powerlessness and homelessness. The Sun in Aries in this chart in the 7th house tells us we are entering into a period where our leadership is tipping over, where their actions and use of will are creating or dealing with conflict with others (Chiron conjunct sun at 1 degree 44 min). This may portend a leadership downfall, the question at hand is that the president exactly? Are we the people weakened because our leadership is a visible enemy to the people, or at perhaps our leadership is connected to known and unknown/hidden enemies? Or due to the leadership, we are weakened with greater vulnerabilities to our known and unknown enemies? I cannot say exactly that is how this plays out, but the symbols seem to go against his power and position and even status (Gemini/Mercury in fall 10th). The 12th house is also hidden enemies, and the ruler sun in the 7th of open enemies, so can it possibly be both? This indeed makes the coming months a bit of a nail biter wouldn’t you say? Looking ahead, the Libra ingress chart September 2019. I will write another post on the Libra ingress in September. For now, just a quick notice of the rising sign in Leo and the sun in Libra (2nd house) with Venus in Libra her domain. Mercury also in Libra and square to the Moon (people) located in the 11th (judiciary branch/friends/benefactors). Sun clearly in the 2nd related to money and economics for our country and Venus in Libra close enough to third to be concerned about communications, education, travel) and Mercury in Libra too. 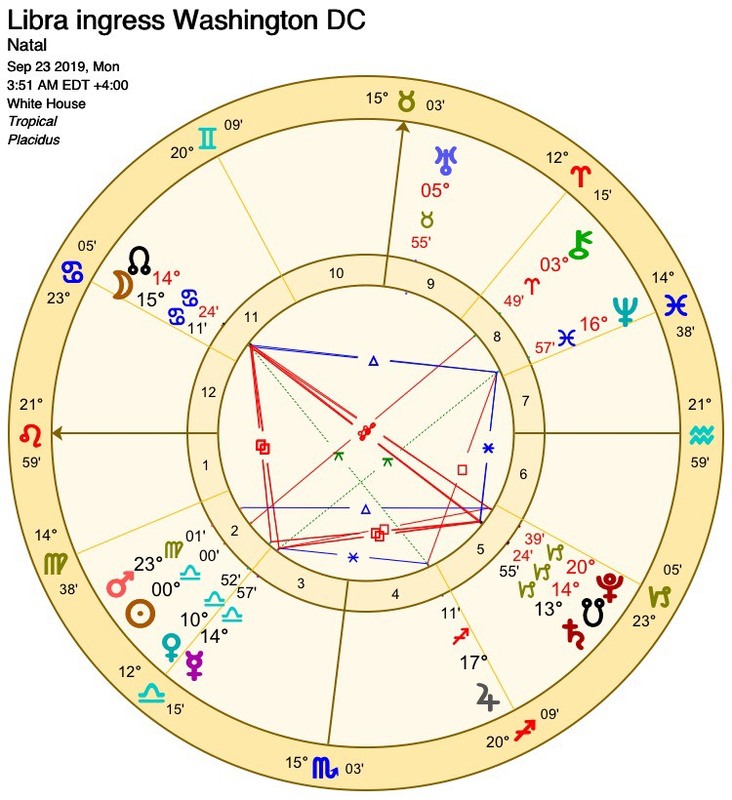 It seems the Libra ingress chart shows higher potentials for some individuals, and yet the Moon rules the 12th house of suffering and powerlessness but is in a square with Venus though separating. We’ll explore this more in September as there will be more insight that comes in the experiences we have collectively that will be part of how we will perceive this chart later in the year. Until then, seek clarity in all matters and participate in your local government, it really does matter at the end of the day. Happy Spring! Namaste. Bless this moment.